You’ve probably heard lots of stories about cosmetic procedures including hair loss treatments. But how do you find out which are true and which are complete myth? It’s natural to be cautious about things we don’t understand – so make sure you do plenty of research before ruling out any procedures for your condition or aesthetic concern. If you’re suffering from hair loss there is no reason to suffer in silence. 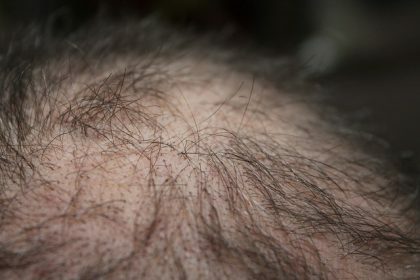 You probably won’t get much help from your doctor if the natural hair loss is down to ageing or male pattern baldness. However, there are a number of other cosmetic treatments available which could work for you. Here are some of the most ridiculous myths we’ve heard about hair loss and hair loss treatments. Lots of people believe this but there is no proof behind it! Washing your hair too much or not washing it enough does not have an effect on hair loss. It’s normal to have some hair fall in the shower when washing your hair, but this is usually nothing to worry about. It’s all part of the natural hair growth cycle and your hair washing habits won’t stop genetic hair loss. The trouble with treating hair loss is it has many different causes. Individuals respond very differently to certain treatments, so what may be effective for one person has no success in another person. Treating hair loss is trial and error, however experts will confirm that certain treatments work for some patients. There is a lot of scientific evidence behind one of the latest treatments, Platelet Rich Plasma therapy (PRP). The injections, which release proteins and hormones are already used elsewhere in medicine and have been found to be successful if taken regularly for treating most types of hair loss. Hair loss is often seen as a male dominated concern, but just as many women suffer with the embarrassing condition. Women may notice their hair thinning as they grow older or suffer from female pattern baldness, as well as conditions such as alopecia which cause baldness. Hair loss treatments are suitable for any gender. Some drastic procedures such as hair transplants can be quite costly, and as such are only available to a small percentage of sufferers. However there are other options such as re-growth therapies which are more affordable. PRP or laser re-growth is available in sessions, so you can spread the cost of the treatment. For optimal results, regular therapy is recommended.